Adidas is delivering on consumers’ demands for functional footwear with the help of Polygiene, a fabric technology specialist. 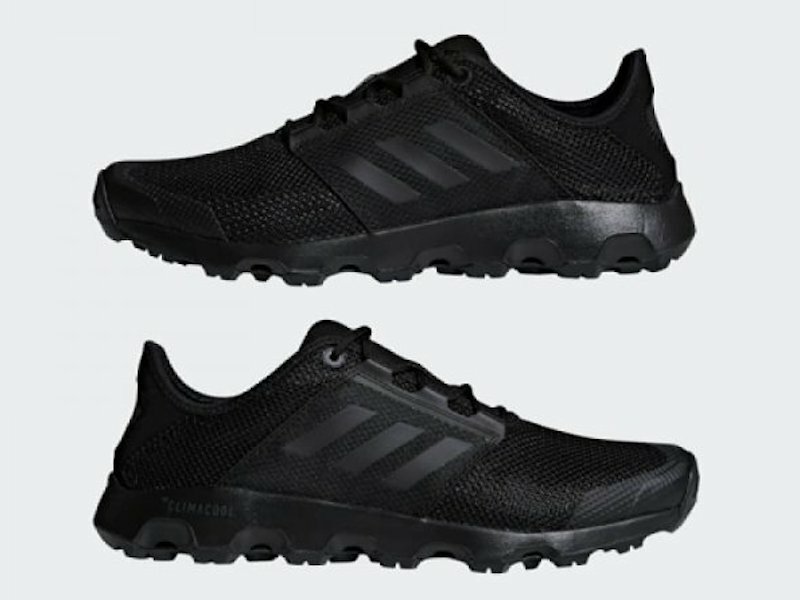 Polygiene has debuted its Stays Fresh Technology in Adidas’s outdoor and trail shoe, the Terrex CC Voyager. Adidas, which has been a customer of the company since 2014, will extend Polygiene-treated products to its full Terrex footwear line. With Polygiene technology, consumers can benefit from the functional capabilities of Terrex shoes, without worrying about sweat or changing climates. As a lightweight Polygiene outdoor shoe, the Terrex CC Voyager features many functional capabilities—breathability, grip and ventilation. A special climacool open mesh provides breathability to the wearer’s feet, while Adidas’s Stealth rubber gives extra grip on rough terrain and the shoe’s midsole sidewall enables ventilation during physical activity. Additional features of the shoe include a dual injection EVA midsole for comfort and a hard outside rim for foot stability and quick drying for warmer hiking days. In addition, wearers also benefit from Polygiene’s advanced fabric technology. Polygiene is an additive applied on foam, plastics or textiles that prevents the growth of odor-causing bacteria by using silver salt (silver chloride)—a natural inhibitor of bacterial growth that’s found in soil and water. Polygiene’s silver chloride derives from recycled silver, providing a functional, yet sustainable feature for Adidas’s Terrex CC Voyager. With Polygiene, consumers have functional and eco-friendly protection from physical and environmental changes. This isn’t the first time Adidas has stepped up its footwear offering with innovative fabrics. For the past few years, Adidas has collaborated with Parley for the Oceans, an eco-friendly organization that works to protect marine life. Adidas and the organization partnered on the first Terrex Parley shoe—a unisex outdoor boat shoe with an upper featuring Parley’s yarn made from recycled plastic bottles. Adidas is planning to expand its Adidas x Parley footwear for Spring 2018 with new functional features including breathability and anti-slip technology to ensure users can move seamlessly from water sports to land.